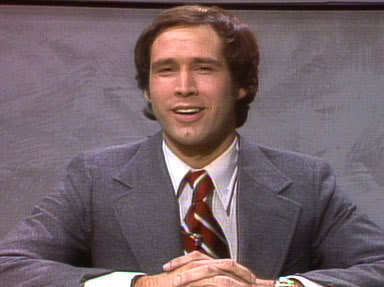 Chevy Chase fell into America’s living rooms in the mid ’70s and broke new comedic ground with his fellow cast members on Saturday Night Live. Comics young and old swear by the magic of comedic timing, but Chevy takes it a step further by using a jazzman’s sense of timing in his comedy. An accomplished jazz pianist, he loves the improvisation and spontaneity essential in the best comedy and jazz. Chevy and I first met at the American Hotel in Sag Harbor, NY where we had both gone to hear the late pianist Hunky Page. Years passed before his old college band mate, actress Blythe Danner, reconnected us in 2002 for a conversation on Judy Carmichael’s Jazz Inspired.. What follows is an excerpt from our conversation that was aired on my Judy Carmichael’s Jazz Inspired radio show. Everyone knows your comedic work, but I doubt many know you’re a jazz pianist. I don’t believe anybody does actually. That’s something I’ve just been doing the last few years. I actually met you in the classic jazz situation. That’s right. Does anyone out there know Hunky Page? Hunky is one of the best and most interesting jazz pianists. A wonderful man. He plays solo piano at the American Hotel in Sag Harbor. We met there. He said, “Chevy, would you like to listen to this girl, Judy Carmichael? She plays stride.” You sat down and played absolutely perfect piano. It was unbelievable. It knocked me out. Thank you. I felt the same way about you. I was especially fascinated by your obvious influence from Bill Evans. That would be a surprise too to some people. I guess you were already close with Miles by then. You were probably hanging with him in junior high! He was hanging. I was just there. Seriously, how did you get to know Bill Evans? I got to know him as a fan, just the way I got to know Monk and Mingus and Coltrane. 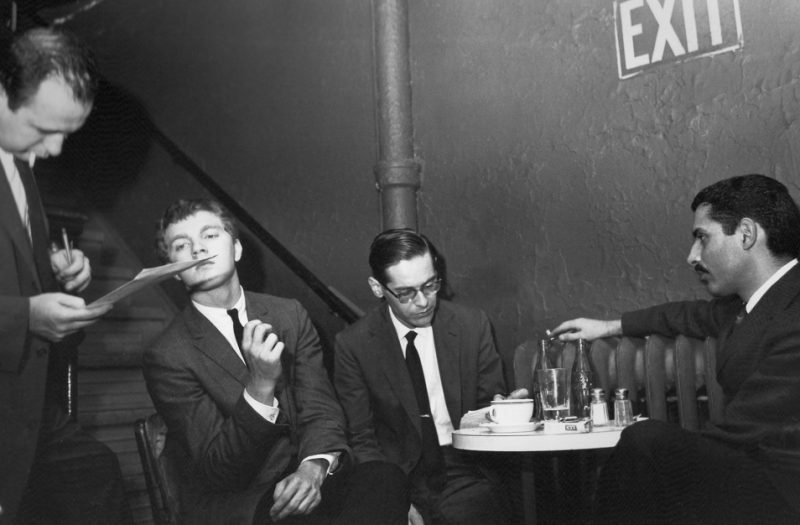 I was one of these young WASP-y looking kids who would be there late at night, past everybody else.I used to hold Dannie Richmond’s high-hat in place at the Five Spot with Mingus. People began to get to know me. Roland Kirk actually would say, “Hi, how are you doing?” to me by hearing my footsteps. That was the kind of ear he had. I mean, he was blind, so that’s why I say that. When I went to Haverford College, we sought to get Bill Evans to play there. And he did come and I got to know him a little better there. Then when I was at Bard College, we got him to play there and I got to know him a little better. It just went on and on to the point where I started driving him around. Driving him home to his house in Riverdale after gigs at the Vanguard. He gave me two of his cats that I had for about ten years. After a while we corresponded over the phone. When I became famous, it didn’t particularly knock him out one way or the other, but he was a little more conversant with what I did and who I was. I was able to call him from California and say, “Listen I’m trying to learn ‘Waltz for Debbie’ but I can’t read music, I play by ear.” Which is the case. I don’t read, but I play by ear. I’d listen to Bill and I’d listen to other people play the piano. I put the phone on the piano. And I’d say, “How does this sound?” He’d say, “That’s pretty good, Chev, you have a good ear.” I remember once saying to him on a short trip into Brooklyn on the way to Riverdale (which is completely out of the way), “God, I’d give anything to play the piano like you.” He says, “It’s easy, Chev.” Really? “Yea, eight hours a day.” I realized, jeez, I was driving cabs or writing comedy or whatever I was doing and I certainly didn’t have that time. But you do take time to play a lot. In the last few years, I’ve been doing relatively little work in film and television. Basically, I’ve been concentrating on my three daughters who are all teenagers and my wife who’s a teenager. That’s convenient. They have the same interests. I think that’s good. The point is really that you’ve got to stay creative. I think that that’s what drove me to the piano. I’d say about three years ago I started playing piano four hours a day to get to the point where I could learn songs and finish them. Before that I just clowned around. As you know, I would go to the American Hotel maybe for dinner with my wife and Hunky would be playing and he was always sweet and he’d say, “Would you like to try a song?” He was always nice, but I felt ridiculous. But you have an incredible ear because your voicings are beautiful. You’ve obviously listened a lot and worked a lot. Do you have perfect pitch? I do. The thing about my ear is that I think I got that from my mother. It’s genetic. My kids have perfect pitch. It’s genetic. The voicings, I don’t know what the hell I’m doing. I honestly don’t. I’m only now beginning to learn what makes that chord that chord. Why it’s called a flatted fifth and or ninth or why it’s diminished or augmented. Or why did I play that. It just falls into my fingers and if it sounds good to me, then I use it. In jazz we always talk about time. We talk about a musician having great time or great feel. That’s the same in comedy. Timing is everything. They’re very close. Jazz is a minute of music and a minute of time and a minute of music, as Bill used to say. And that’s what distinguishes it from classical music and other forms. 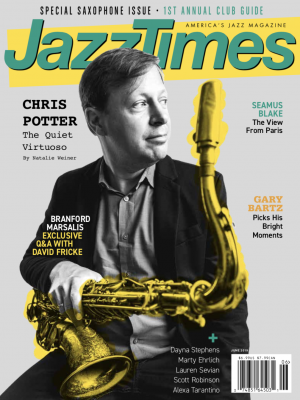 The improvisatory nature of jazz and the extemporaneous elements lend themselves to comedy. In fact, I always thought Monk was the funniest pianist I ever heard. I thought he had a great sense of humor. If you were in Max’s kitchen at the Vanguard, then you wouldn’t think he had a great sense of humor, because he wasn’t a guy who told jokes per se, but that didn’t mean he wasn’t funny. You listen to his voicings and his moods on the piano, you know that has to come from some kind of weird perspective. And sense of humor is perspective. My sitting down at the piano and improvising and playing about with chords and voicings and trying to get my right hand to work, that’s not far from winging it in Fletch or Caddyshack or one of those movies. What is your philosophy of playing? There are no mistakes. You’re never more than a half tone off. With the kind of piano I’ve heard you play, a mistake stands out a lot more, but the kind of piano I play is riddled with mistakes, but you can’t tell because I’m sliding into the next one. [laughing] No, you can tell. But I’m not going to tell! I put some stuff on tape for you that was rather fast and spontaneous and dumb, but if anybody out there is listening to that, you can learn that just to sit at the piano on a daily basis even for just a few minutes, it can be the love of your life. I want kids to know that. I want anybody listening to us to know that. I’ve told people who are in all sorts of disparate lines of work, if you need to relax, sit at a piano. “But I can’t play the piano,” they’ll say. Nobody can play the piano. The fact is, you just listen to what your fingers are doing and let it take you somewhere. And sooner or later, you’ll find that your heart rate is slow, your blood pressure has dropped. You’re in an alpha state or whatever that is. It’s like doing yoga. It’s a great gift to have a piano. Or a guitar. But pick up an instrument and play with it. 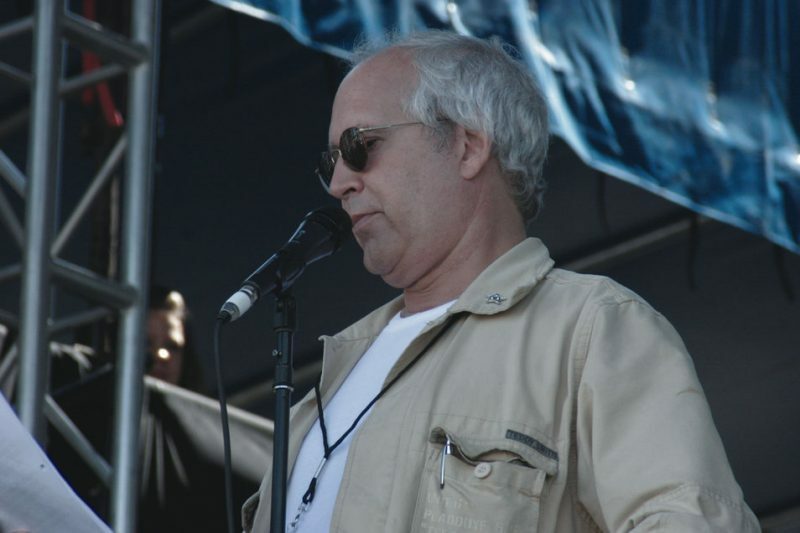 To listen to the entire conversation with Chevy Chase, along with the music that influenced him and his own music, or hear interviews with other notable people inspired by jazz, go to Judy Carmichael’s Jazz Inspired web site.